Designs made (see attached images): 1. 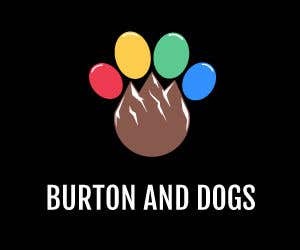 Burton and Dogs Logo. 2. Two (2) design concepts for t-shirts presented in three (3) colors. 3. One (1) lanyard design. 4. One (1) wristband design. 5. Website logo. 6. Instagram profile photo. 7. Twitter profile and header photos. 8. Facebook profile photo and four (4) slider cover photos. The logo is made in Adobe Illustrator, therefore it can be resized to any desired resolution or dimensions. All mock-ups in print and web are made as high resolution assets. If proposal is chosen, it will only take one (1) to three (3) days to deliver all the needed assets since all needed designs are already made or done. It could even be delivered right away once prize is deposited, however if proposal is chosen, I am open to accepting up to four (4) revisions from the contest holder so as to suit the exact design needs of the contest holder. That's why there is 3 days max for the delivery of the design assets and the Adobe Illustrator and Photoshop files.